By the end of this lesson students should understand that the USSR supporting Northern Vietnamese soldiers during the Cold War led to them entering Southern Vietnam through Cambodia. 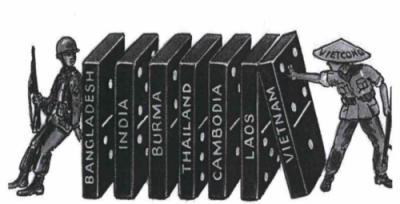 As a result, the United States bombed Cambodia which led to the rise of the Khmer Rouge Regime under the leader Pol Pot. While in power Pol Pot attempted to eliminate all western influence by a mass genocide of Cambodian citizens.